Do you want your website or blog indexed quickly. I will manually submit your site to the top social bookmarking sites, You will get Superb quality social backlinks from: Bookmarking Sites (eg: Pinterest, Reddit, Delicious, etc.) Google LOVES quality social signals from various high PR sites! Besides, your website/blog will be pinged to get indexed INSTANTLY. Proof will be provided with links .. TRY Once! You will come Back For More...!! 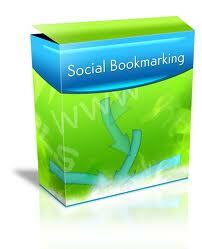 submit your website MANUALLY to the 85+ top social bookmarking sites is ranked 5 out of 5. Based on 50 user reviews.